The McAdoo Fire Company, Inc. was organized July, 1921 & purchased an old frame building from Squire Hugh J. McShea, which was to be the home of the McAdoo Fire Company, Inc. in the early part of 1922. The first charter members were Con M. Postupack, John C. Dvorshak, Gmetro Kapitula, Daniel Bavolack, Walter Yankowicz, M. Noga, Eckley Klingerman, Michael Pecuch, George Brewery, Frank Gurzenda & Michael Jupina Sr . The Fire Company was granted a charter by the Schuylkill County Courts in July of 1922; at which time the new fire engine & equipment was purchased. The acting Chairman of the Fire Department was C.M. Postupack & he was succeeded in 1925 by Daniel Bavolack who, was the first elected Chairman of the Organization. In 1931, the McAdoo Fire Company, Inc. building was completely destroyed by fire. That same year, the building located at 28 West Blaine Street was erected, and a Fire Engine was purchased to replace the apparatus, which was lost in the fire. In 1938, a new American LaFrance fire truck was purchased & served the company for many years. In 1949, members of the Fire Company realized the need for Ambulance Service for the Residents of McAdoo and nearby outlying Communities. The McAdoo Fire Company, Inc. Ambulance Association was established and purchased a M & M Cadillac. This was the first Ambulance sponsored by a fire Company & Residents in the entire area. In 1960, the McAdoo Fire Company, Inc. Ambulance Association was chartered by the Schuylkill County Courts. In 1977, the Ambulance Association found the need for two Ambulances & a 1975 Chevrolet Modular Ambulance was purchased. It was replaced by a new 1979 Ford Modular, & that was replaced by a new 1989 Ford Wheelcoach. Anew 1984 Ford Van Type Ambulance was purchased to replace the Cadillac Superior Ambulance. A 1989 Ford Wheelcoach to replace the 1979 Modular. In 1991 a Ford Wheelcoach was purchased & in 1995 a Marque International Modular was purchased. Eleven new Ambulances & one used Ambulance have been purchased by the Association to better serve our residences. In 1980, the McAdoo Fire Company, Inc. Ambulance Association, achieved recognition as operating, the first Ambulance in the Area, to become State Certified, staffed & equipped to meet Pennsylvania Emergency Management Standards. In 1970, a fully equipped 1951 Mack Pumper was purchased to replace the 1939 American LaFrance Pumper, from Willow Grove Fire Department. In October of 1975, a new equipment Building was started and completed in April of 1976. This new building was dedicated on July 9th, 1977, to house all the Fire Departments apparatus including the ambulances. Also in 1975, the First Ladies Auxiliary of the Fire Company was formed & chartered by the Schuylkill County Courts. The First elected Officers of this Organization were; President Margaret Kasarda, Vice-President Nellie Motsuk, Secretary Susan Mock, & Treasurer Mary Ann Leshko. Again in 1975, realizing the need to update its Fire Fighting Equipment, the Fire Company purchased a 1957 Seagrave 85' Aerial from Fairview Fire Department, New Jersey. In 1978, a 1960 FWD 750 GPM Fire Engine was purchased from the Hazleton Fire Department. In 1987, a 1960 Mack 1000 GPM Fire engine was purchased from the Paxtonia Fire Department. In Maya 1966 Seagrave 75' 750 GPM Quint was purchased from the West Reading Fire Department to replace the 1956 Seagrave Aerial. In September a. 1953 GMC Brush Truck was placed into service. In 1992, realizing the need to upgrade their fire fighting capabilities a 1992 KME 1250 GPM Fire Engine was purchased. In January of 1994 the McAdoo Fire Company suffered one of our greatest loses with the death of Fire Chief Robert Leshko. He was a member of our department for 30 years & Fire Chief for 23 years from 1970 to 1993. In July of 1994 the ambulance assn. saw the need to update it fleet of vehicles. The assn. Formed a committee to build a vehicle like no other, a vehicle to be able to handle day-to-day calls, and also major accidents that the assn responds to quiet often on I-81 during the heavy travel time. After 5 months of planning, specing and designing, the assn chose J. Yuricks emergency equipment of Oneida to build the vehicle. It would be built on an International Chassis with the body built by Marque of Goshen Ind. The vehicle arrived in early May 1995 and would be shown at the Harrisburg Fire Expo. The vehicle entered into service in June of 1995 and was dedicated to out late fire chief Robert Leshko Sr. who passed away in January 1994. In December of 1995 the Chief Bob Leshko Memorial Award was started and presented to one member of each the Fire Co. and Ambulance Assn for that members that goes above and beyond each year for providing service to the organizations. In August of 1996 the Schuylkill County Volunteer Firefighters Convention returned to McAdoo. It was the second time for this prestigious event to be held in McAdoo. The McAdoo Fire Co., Inc. and Keystone Fire Co. No. 1 hosted the event. In November of 1998 the McAdoo Fire Co., Inc. Ambulance assn made another major purchase. It equipped both ambulances with Lifepack 500 automatic deliberators. This purchase was made possible through a fund drive that The Citizens National Bank of Lansford. Which has a branch office in downtown McAdoo spearheaded the drive. The units were a great asset to the community and if they save one life it was well worth the purchase. In August of 1999 the fire acquired a 5 ton brush truck the bureau of forestry. All work on the truck was done by members of the co. The vehicle carries 1200 gallons of water and various tools for fighting forest fires. On August 6, 2000 the McAdoo Fire Co., Inc. and Ambulance Assn responded to one its most toughest structure fires in the history of the Co. The address was called in as 32 South Kennedy Drive for a structure fire. That address is the home of the McAdoo Fire Co., Inc and Ambulance Assn. The first six firefighters to arrive. Matt Capulich, Donald Leshko, Kevin Sabulsky, Kurt Mchugh, Gary Perna and John Mears had the task of trying to extinguish and control the fire and get all the vehicles out of the building. They did this all without no turnout gear or airpacks. The departments 1992 KME pumper, black and full of smoke and even to surprise started due to the heavy smoke in the building rose to the occasion that day as it was the vehicle that contained and extinguished the fire. All the vehicles were able to started and driven out of the station onto the middle of Kennedy Drive in the borough. All of the vehicles suffered heavy smoke damage with the worst being the 1966 Seagrave ladder truck which had to be taken out of service and the 1995 Marque International which to be sent back to Marque for extensive repairs. All the equipment that sat inside the building took a major hit, Kitchen and office equipment. Turnout gear, and various other items were all lost. All the food that was made for the upcoming Funfest Fundraiser in September was lost. But with all the lost equipment and vehicles, Monday August 7, 2000 the company went back into service providing protection the residents of McAdoo and Kline twp. A temporary station was set up in the Kline Twp municipal building. A loan of pumper was given by KME Fire Apparatus, APTS inc. provided ambulance for EMS coverage and Hometown Fire Dept. provided a quick response vehicle for assisting EMS and fire. In all that was lost. 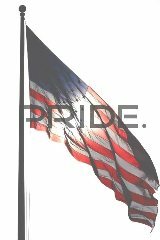 We have gotten stronger as a fire company and still provided the service people of McAdoo and Kline Twp have come to know. On December 23, 2000, Approx 5 months after the fire, the Fire Co. and Ambulance Assn moved back into 32 South Kennedy Drive. It was the greatest Christmas present any of us could as for. The building was totally rehabbed. Most of, if not all the kitchen equipment and office equipment was replaced and restored. We were back in our home and could not be prouder. In August of 2001 the Ambulance Assn saw the need again to update its Fleet. A committee was formed to spec out a new ambulance to replace the 1995 International Marque. The 1995 Marque International ambulance was sold to Belefonte EMS. The committee made a few changes in the new ambulance to make it more user friendly and ready for any call that came its way. The committee once again chose an International Chassis that was purchased from Kovatch Mobile Equipment and again chose J. Yuricks Emergency equipment of Onidea to supply the body that was going to be built by Osage Industries of Linn Missouri. This vehicle was specially designed with a totally LED lighting package. The vehicle was shown at the 2002 FDIC conference in Indianapolis and also Fire Expo in Harrisburg. The vehicle entered service in June of 2002. On April 1, 2002, as we all know was April fools day, but there was no one playing a joke on the McAdoo Fire Co., Inc. that day. That night U.S. Rep Tim Holden came to McAdoo to complete the last piece of the puzzle since the fire. He brought with him a check in the form of a grant for $100,000.00 to help purchase a new ladder truck to replace the one that was destroyed in the August 2000 fire. The fire Co. received the grant and also $265,000.00 low interest loan through the Dept. of Agriculture. On April 11, 2002 the McAdoo Fire Co., Inc. signed a contract with KME Fire Apparatus of Nesquehoning, PA to build a 75’ KME Aerial cat ladder truck. This vehicle will contain a 6-man cab, a 2000gpm pump, a 95 GPM foam eductor to the front bumper and various tools and equipment. The vehicle is being called by many to be “one awesome aerial cat” The vehicle will be on display at various expositions in upcoming 2003. More will be added as the vehicle nears completion and goes into service. In November of 2002 also brought a first to the McAdoo Area. The McAdoo Fire Co., Inc. sponsored a Memorial Wall and Board for the residents to place the names of there loved ones who have passed on to be remembered for the Holiday season. With each name also went a lighted bulb on the Christmas tree that adorned our the area in front of our fire house. The support for this project was so great from our residences it will become a yearly tradition. With 2003 beginning, the members of the McAdoo Fire Co., Inc. knew the final tear from the fire in August of 2000 was going to be wiped away. On May 14, 2003 All the hard work, long hours of planning and designing, not only by our members. But all 500 plus employees of KME Fire Apparatus made a dream become a reality. That is the day our brand new 2003 KME Aerial Cat Quint rolled off the production line just in time to make it’s first Fire Trade show appearance. And start its ROAD TRIP ACROSS AMERICA. And what a appearance it made at the 2003 FIRE EXPO in Harrisburg. Hailed by many as one of the top Quints of the Year and silenced the critics who never thought it would happen. Then on May 18, 2003, before returning to the KME plant in Nesquehoning for it’s final cleaning and prep for delivery, it made a special trip the town and the fire house it would call home. At 18:30hrs that evening it was greeted by a large group of members as if they where welcoming home there first child as it was backed into the firehouse for the very first time. May 23, 2003 was the day that none of us thought we would ever see, but a day that we could not wait to happen. On that morning the apparatus committee for Q-49-22 embarked on our final trip to KME. On this trip we would do final inspection, acceptance test, and take delivery of our new KME Aerial cat. After a morning inspecting and testing. The committee accepted final delivery of Q-49-22. It was finally ours. But we did not speed out of the KME complex. The first time in the history of KME, we hosted a luncheon for all the employee’s of KME in showing our thanks to them for a job they took on over one year ago. When Q-49-22 arrived in McAdoo on this great afternoon it was home to stay. Throughout the months of May, June, July and August, Q-49-22 was on a ROAD TRIP ACROSS AMERICA. In a agreement made with KME, we allowed the Quint to be shown at many trade shows throughout the year. And what a showing it made, each show getting more and more compliments and making us more and more proud of the vehicle we designed and the employee’s of KME built. As stated earlier it started in Harrisburg, PA then up to Syracuse, NY then off to West Springfield, MA then down to Myrtle Beach, SC and finally finishing off in Dallas, TX. The Year 2004 started off just like any other normal year in the McAdoo Fire Co., Inc. In September of 2004 the officer’s and membership started talking about updating fire equipment. With the Quint 49-22 in full service and performing great, it was discussed about replacing Engine 49-15 with a new engine to better service the residents of McAdoo and Kline Twp. 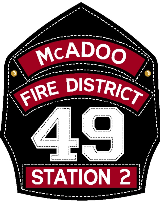 In November of 2004 the McAdoo Fire Co., Inc. again received some great news, News that would make the New Engine 49-15 even more of a reality. The McAdoo Fire Co., Inc. Was awarded a $90,000.00 grant and a $175,000.00 low interest low from the U.S Department of Agriculture. The McAdoo Fire Co., Inc. started off January 2005 saying good bye to a old friend. The 1992 KME pumper was sold. It was sold to a mining company in Canada and would do duty as a fire truck protecting a large mining operation. It was a sad day to see our engine leave, but with progress there must be change and change was coming for the McAdoo Fire Co., Inc. In March of 2005 another great honor was bestowed on the members of the McAdoo Fire Co., Inc. After receiving our grant and loan check at a ceremony in Tamaqua from the USDA. The members took the Asst to the Secretary of Agriculture for the Federal Government to KME to view the progress of Engine 49-15. It was a proud day for our members in being able to show our new vehicle in progress to the staff of USDA and to be able to see the help they provided to us was going towards. In September of 2006 our 1998 Ford Osage ambulance was sold to a private ambulance company in Idaho. The decision was made by the membership to go back to one ambulance to be able to provide a more cost effective service to our community. This was also done because of the decreasing number of time we would have second calls and the availability of our Mutual Aid companies. In June of 2007 our 2002 International was now paid off and a contract was signed once again with J. Yurick's Emergency Equipment of Sheppton for a 2008 F-450 osage ambulance. This unit will have some features never seen by the membership before to include a Bariatric package for transporting the obese patient. It will also include all LED lighting with no light bars. With space becoming an issue, the fire company decided it was time for more room. During 2006 the fire company added on to the rear of the Kennedy Drive station giving the department more storage room and much needed garage space. The year 2007 proved to be a very active and yet another successful year for the McAdoo Fire Company and McAdoo Fire Company Ambulance Assn. In June of 2007 the Ambulance Assn. started the planning for the purchase of new ambulance to replace both current International Osage and Ford Osage ambulances. In August of 2007 a contract was signed with J. Yuricks Emergency Equipment for the purchase of a 2008 Ford F-450 4WD Osage ambulance. The 4WD drive unit was chosen due to the winters that our area suffers through, making it more effective and safer for not only the crew it will carry, but most important patient care. This unit would bring the first Bar iatric BLS unit to the Great McAdoo & Hazleton Area. In the summer of 2008 the fire company was awarded a grant from DCDE to assist in the refurbishing of the Blaine Street fire station. This work included new windows and doors for the building in making the building more energy efficient. In May of 2008 brought another new addition to the Ambulance Assn. The 2008 F450 Osage ambulance was delivered and placed in service. This vehicle is state of the art with all LED lighting and again being the first Bar iatric BLS unit in the Greater McAdoo & Hazleton Area.